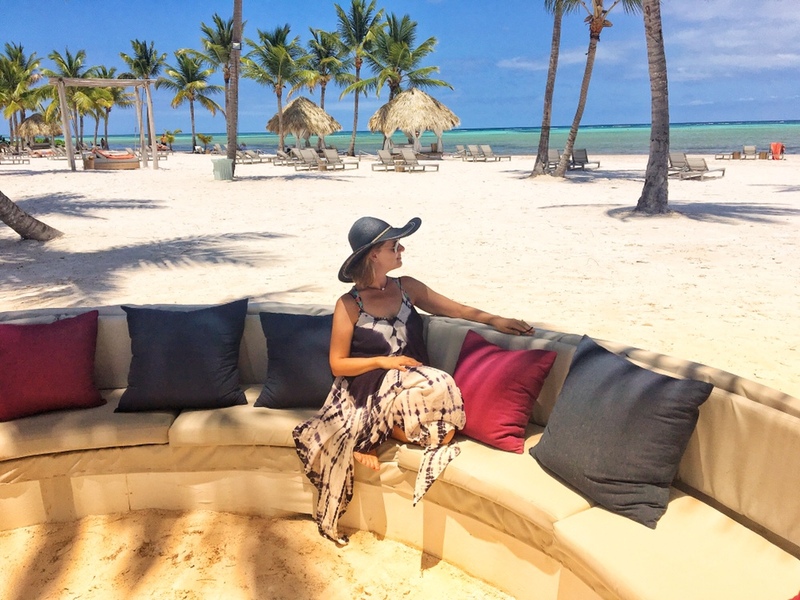 I just returned from a four day weekend in the Dominican Republic – a restorative few days made all the more relaxing for a bold little decision I made shortly after clearing customs. Standing in the humid and breezy baggage claim area of Punta Cana International Airport, I fished out my phone, scrolled to the Accounts section of the Settings menu, and guilt free deleted the email account labeled “Work”. Just to cut that temptation off at the source (mine, not theirs). The move was more an affirmation of a lesson it’s taken me far too long to learn. I’ve earned this time and I will neither grovel for it nor be fearful of taking it. Not that anyone would have reached out – my nowadays work family is effortlessly awesome like that. And while this hasn’t always been the case, I’m beyond thankful to 8 to 5 it at a place where time off is respected, period. I bet in one form or another, you’ve heard them too. And the last time for me, when killer ocean views and never long enough family time were interrupted by somebody’s over-inflated sense of urgency? Not a scenario I was up for repeating. In the misguided early years of my career, I fell headfirst for this crap. Company loyalty that would beget professional advancement and all that came with it. It affected far more than a couple weeks’ paid time off too. Wedding anniversaries spent thousands of miles away from the one person I wanted to be with, and too many holidays when I was reading cards stuffed in my luggage as the best substitute for actually enjoying time together. Say what you will about work travel abroad as a perk. The Roman Colosseum is damn lonely when you’re touring it alone. Countless nights burning the midnight oil at my dining room table – not for “credit” to show people how late I was working, but because the project load and those doling it out demanded that. Too many egos parading a “do as I say and not as I do” management style. Ruling by fear and yada yada yada. Buh-bye. And what a victory. At long last, I’ve learned the difference between taking one for the team and willingly handing over my physical and emotional health in exchange for somebody else’s vague promises. The concept of forfeiting accrued time off now seems insane to me – second only to enabling the boundary invading precedent of working on vacation, which usually goes hand in hand with remaining tethered to an employer straight outta Horrible Bosses. Take your hard earned time off, people! Fiercely protect it. And if you’re lucky enough to work for an employer that knows what they have in you, spend every work day between now and your next vacation proving them right. Previous Previous post: Thank you, Athleta, for all the models. Next Next post: Lift one another up.